Mahesh Babu’s “Srimanthudu” has opened to an overwhelming response at the premiere shows, but it has failed to beat the collection record of “Aagadu” as well as “Baahubali” at the US box office. Sunil Pantra, Vamsi Karumanchi, Kiran Duggirala and Shiva Polavarapu, who have acquired the US distribution rights of “Srimanthudu”, have released the movie in over 150 screens, which is more than the count of Mahesh Babu’s previous outing “Aagadu”. They reportedly held premiere shows in 117 locations in the country. “Srimanthudu” had witnessed advance bookings in a large scale for its premiere shows. In fact, its tickets were sold for a record price of $15,000, with the movie beating the record of “Baahubali” — the tickets of which had sold for a maximum price of Rs 10,000. The distributors were thrilled at the flick’s pre-release business and hoped it would beat the premiere show record of “Baahubali – the Beginning”. But, “Srimanthudu” collected approximately $500K in premiere shows in the US. The distribution house, Great India Films, tweeted, “#Sreemanthudu USA as of 11pm PST Estimated grosses $500K from 117Locs.”Superstar Mahesh Babu is the most popular Telugu actor in the Unites States of America and reportedly has a larger fan base than Power Star Pawan Kalyan. Until the release of “Attarintiki Daredi”, Mahesh Babu’s movies were holding all the records. Pawan Kalyan’s “Attarintiki Daredi” had earned over $345,000 from the premiere shows in the US on 26 September, 2013. Later, Mahesh Babu’s “Aagadu” smashed this record by collecting $533K from the preview shows in the country. Then, “Baahubali – the Beginning” not only shattered the records of Telugu movies, but also “PK”, which was the highest grosser Indian movie in the US (premiere shows). “Baahubali – the Beginning” has grossed $1,010,550 from the premiere shows in 118 screens in the US. Now, it is not the highest grosser Indian movie in the country. 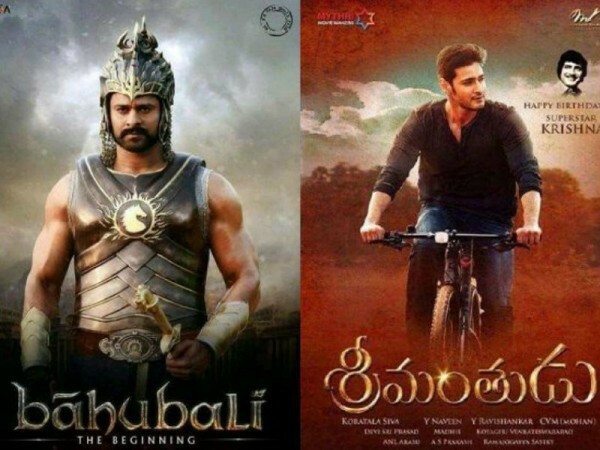 After seeing the pre-release business of “Srimanthudu”, some trade experts predicted that “Srimanthudu” would beat the record of the Rajamouli directorial, but it has failed to do so.